Welcome back to our continuing monthly examination of foreclosure data for Massachusetts. As we have seen the 1st few of months of 2016 all the metrics are up again this month. Starting the 2nd quarter of 2016 we are up to 26 straight months of increasing petitions on a year over year basis. March was the first time the increase was only single digits during the run, but that is back up this month. Auctions and Foreclosure Deeds continue to consistently rise each month as has been the recent pattern. Let’s start off by looking at the petitions. As stated above they have now risen for 26 straight months on a year over year basis, with all the increases being at least double digits except for last month. Taking a look at the numbers there were 1,117 petitions filed in April 2016 compared to 958 filed in April of 2015 for a modest increase of 16.60%. While climbing back to double digits this month it is fair to point out that this is still a relatively small increase compared to the 70-100% or more increase that were quite common in 2014-15. However since they have increased for over 2 years now looking back to April of 2014 we see that there were 740 petitions filed, which gives an increase of 50.95% increase over those 2 years, and going back to April of 2013 petitions were at 327 for a 242% jump since that year. Looking at the year so far there have been 4,484 petitions year to date which is up 26.2% over the 3,367 at this point in 2015. Next we will look at auctions. Auctions are the most volatile stat overall, but so far this year has been consistently increasing with everything else. In April 2016 there were 752 auctions scheduled compared to 439 in April 2015 giving a 71.30% increase. Year to date they have substantially increased with the 2,886 already scheduled being up 38.48% over the 2,084 auctions announced at this point in 2015. 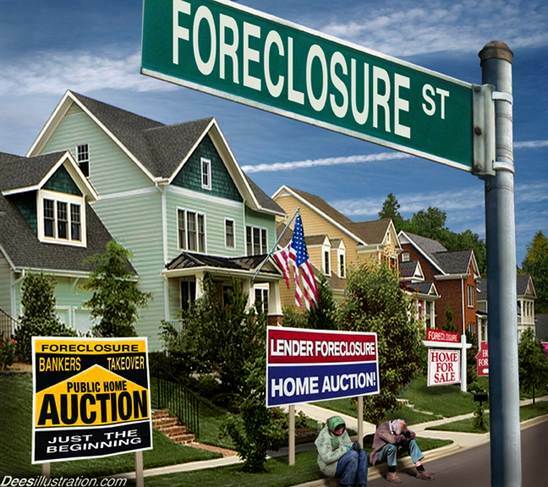 Finally we will look at the Foreclosure Deeds. You should expect the foreclosure deeds to track pretty well with the increases in petitions with a long lag because of the long timeframe to complete foreclosures in Massachusetts. They have been consistently rising year over year 6 months in a row as well as 13 of the previous 14 now that the increase is foreclosure petitions has reached the point of working their way through the system. Looking at the data for this month we see that there were 457 Deeds recorded in April 2016 compared to 353 in April of 2015 giving an increase of 29.46%, still pretty large though being less than last months increase. Year to date there have been 1,944 petitions filed in 2016 compared to only 1,280 at this time in 2015, giving a 51.88% increase year to date. Everything was up again this month with petitions climbing back to a double digit increase this month after the smallest increase in the now 26 month run of increases. While still relatively small it was up 10 percentage points over last month. Auctions and foreclosure deeds were up by pretty sizable amounts once again, especially the auctions. As mentioned in several previous reports we do not expect to see any big surge in REOs only because the banks do not want to put a lot of downward pressure on the market by flooding it with their inventory. However with the pattern of increases in deeds getting bigger and consistent every month REO inventory could start to climb as more of these petitions get though the system. Since the Massachusetts foreclosure process can be very lengthy, we are only really starting to really see some of this 26 months of increasing petitions working their way though the system. With that being the case there is little reason to not expect a continued increase in the number of completed foreclosures for at least the next 2 years.